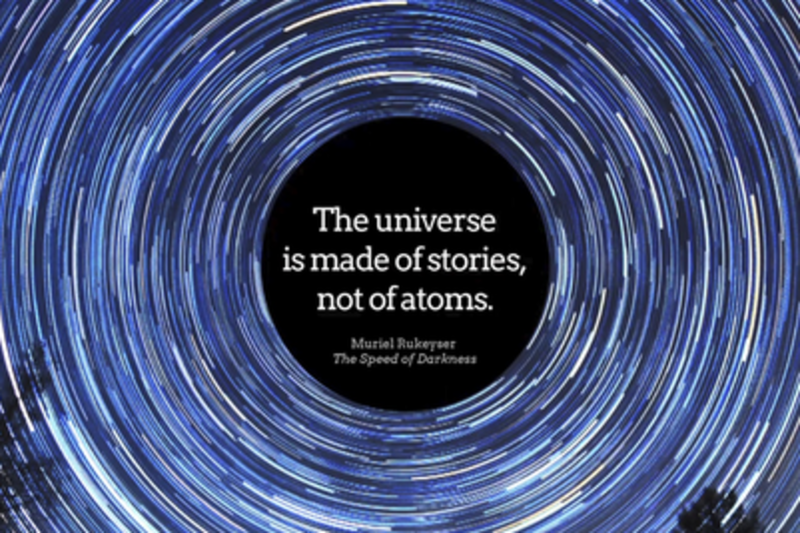 Filmmaker Amnon Buchbinder has assembled a vast, networked, interactive archive of filmed insights from those who work with story in a wide range of fields: screenwriters, novelists, storytellers, physicians, clergy, scientists, journalists, lawyers, more. The emergent premise: stories form through the patterns of self-organization and inter-dependence that also define biological life. But humans also create anti-stories - formula and fundamentalist narratives - that lack these living qualities. This inspiring workshop will demonstrate a unique interactive documentary, offering a “virtual panel discussion” elicited from 50 hours of edited material and guided by audience participation. Amnon Buchbinder is a film director, screenwriter, author and teacher. His work as practitioner and thinker spans narrative and experimental, cinematic and literary, fiction and non-fiction, and academic and commercial fields. He is an Associate Professor and former Chair of the Department of Cinema and Media Arts in the Faculty of Arts, Media, Performance & Design at York University. He is Writer/Director of the interactive documentary Biology of Story, launching at SXSW-I. 2016 will also see the release of his third feature film, the myth/fiction/ autobiography hybrid Travelling Medicine Show. His book, The Way of the Screenwriter was published in 2005 by House of Anansi Press. Previously he has directed two theatrically-released feature films: The Fishing Trip (1998), distributed by Mongrel Media, was nominated for 3 Genie awards, winning one; Whole New Thing (2005) screened at over 100 international film festivals, winning a dozen best-film awards, was acquired by ThinkFilm and distributed theatrically in Canada, the U.S., and Europe. He has also made a number of short films that screened at major festivals around the world. Working in the Canadian film and television industry he has written and rewritten numerous screenplays. He has served as story editor on over a hundred feature film projects in funded development, and taught professional screenwriting workshops in a dozen countries. He has been a curator and film programmer for organizations including the Pacific Cinematheque, the Vancouver International Film Festival, and the Toronto International Film Festival, and has consulted on program policy and curriculum development for educational institutions, arts bodies, and film organizations. Mike is Creative Technologist and a partner at Helios Design Labs, where he has been for the last 15 years. He oversees the interactive part of Helios' creative output. Recent projects that he has worked on in include After the Storm with Andrew Grace, This Changes Everything, Highrise with Kat Cizek and the NFB, Offshore with Brenda Longfellow, 17,000 Islands with Thomas Østbye and Edwin, World Online Orchestra with the Copenhagen Phil among others. The work has collectively won a number of major awards and nominations and has been featured in such venues as IDFA, Sheffield DocFest, smartFip@, Bristol iDocs and others, including a nomination for activism (with Offshore) at 2014 SXSW Interactive awards. Mike studied visual Arts at York University in Toronto, and picked up his computer skills on the job at Helios.